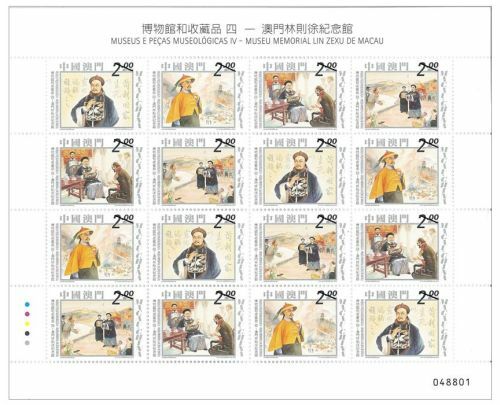 Macao Post issued the stamp themes “The Macao Museum of Art”, “Communications Museum” and “Macao Museum” under the stamp series of “Museums and their Collections” between 2003 and 2013. 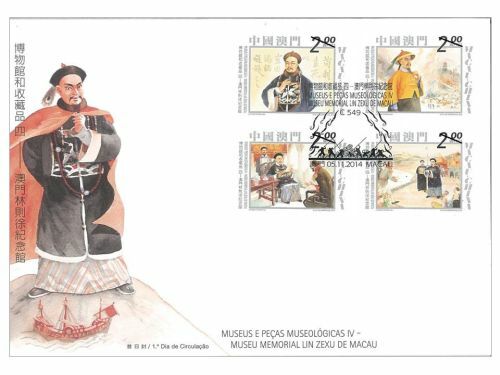 The fourth series with the stamp theme “Museums and their Collections IV – Lin Zexu Memorial Museum of Macao” will be issued on 5th November, 2014. 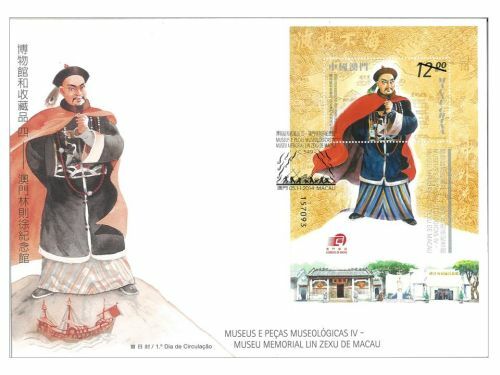 The Lin Zexu Memorial Museum of Macao was built in 1997, it was the first museum of Lin Zexu located outside Mainland China. 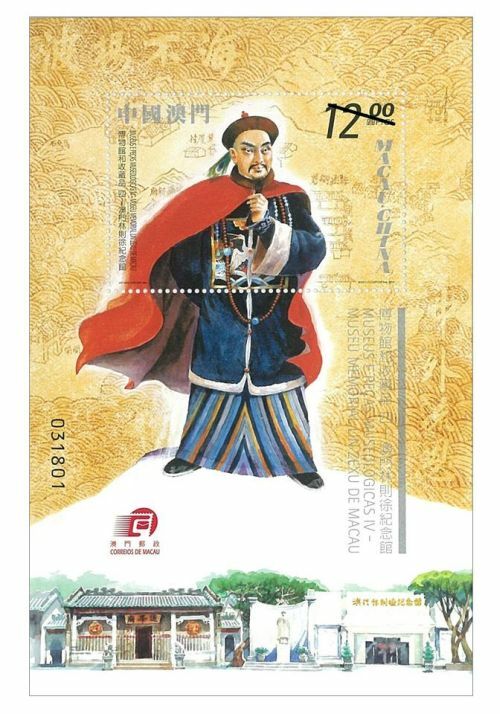 There are five exhibition halls in the museum, which are “The Biography of Lin Zexu”, “Eyes Opened to the World”, “The Destruction of Opium at Humen”, “The Inspection Trip in Macao” and “The Everlasting Commemoration”. 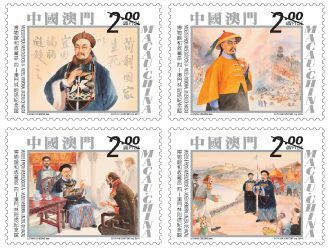 This issue includes a set of four stamps and one souvenir sheet, the image illustrates the destruction of opium at Humen, the inspection trip of Lin Zexu in Macao and their meeting with the Portuguese officials. 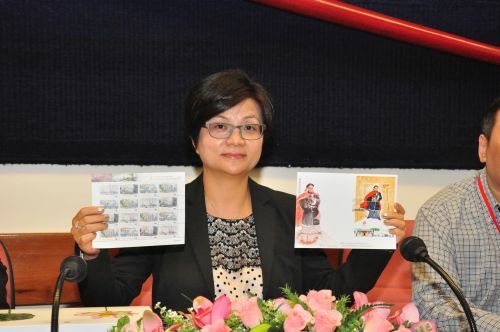 The stamp designer of this issue is Mr. Lio Man Cheong, and the text of the information brochure is written by the Charitable Table of Directors of the Lin Fong Temple. 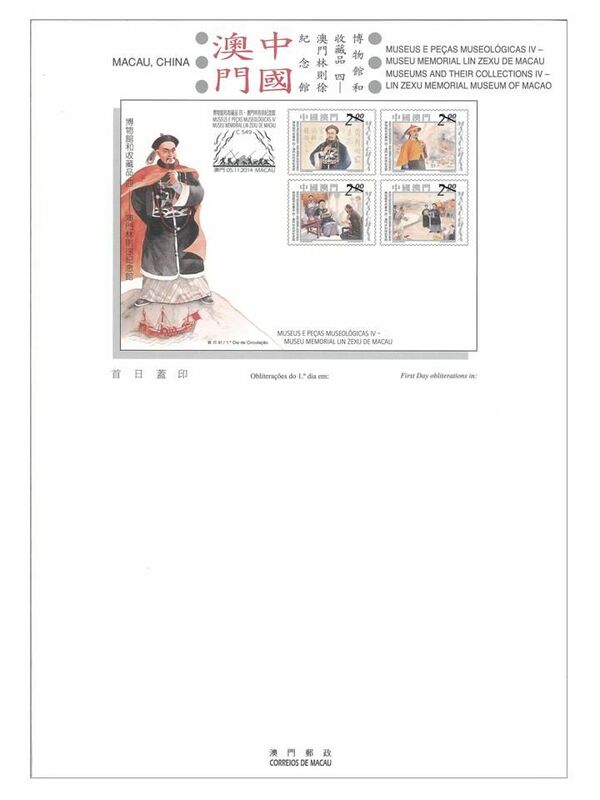 This is the tenth issue in 2014. 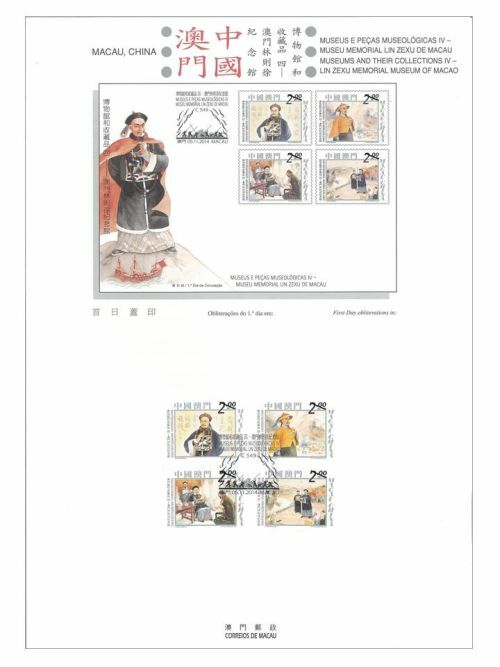 The previous issued stamps are “Lunar Year of the Horse” on 03/01/2014, “140th Anniversary of Conde de São Januário General Hospital” on 06/01/2014, the label stamp “Lunar Year of the Horse” on 14/02/2014, “130th Anniversary of Macao Post” on 01/03/2014, “Animal Protection” on 28/04/2014, “Literature and its Characters – The Outlaws of the Marsh II” on 26/06/2014, “The New Campus of the University of Macau” on 05/09/2014, “Science and Technology – Magic Squares I” on 09/10/2014 and “General Post Office Building” on 01/11/2014. 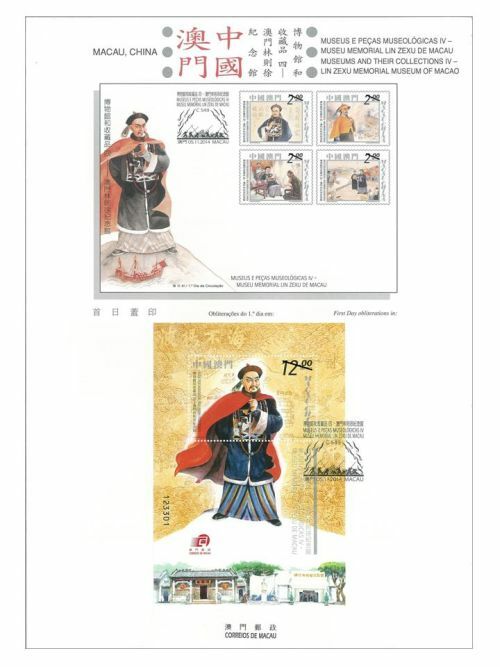 Technical Data of Stamp "MUSEUMS AND THEIR COLLECTIONS IV – LIN ZEXU MEMORIAL MUSEUM OF MACAO"